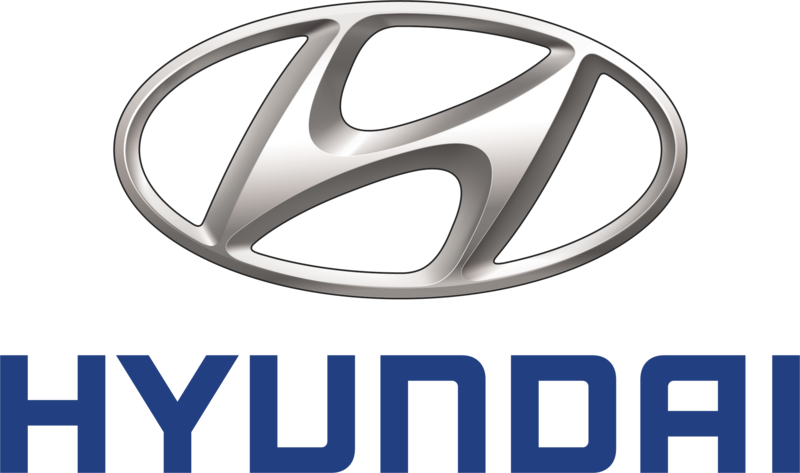 Hyundai is a self-grown South Korean brand of automobiles established in the 1960’s. Presently part of the Hyundai Kia Automotive Group, the motor company has registered a steady growth over the past few decades, having successfully entered European and American markets. The assembly lines operated by the company were built to match its size, the manufacturing facility in Ulsan being able to produce 1.6 million units per year. Founded by Chung Ju Yung, born into a poor family of farmers, the Hyundai Motor Company became the first Korean car producer. The grounds for founding a car company could not have been more welcoming since post-war years in Korea brought forth a series of odd politics one of which stated that automobile imports were better than having a Korean car brand. Yung was quick to fill the void, having raised enough capital for the investment from his very profitable construction business, opened in 1947. One year after its birth, the Hyundai Motor Company signed a technology-share agreement with Ford in 1968. Soon after Hyundai’s access to Ford’s resources, the first Hyundai car was developed: the Cortina. This model was quickly followed by the release of the Pony, Hyundai’s first entirely Korean designed and built model. Its blueprints however, were not all-Korean, the company having used Japanese technology from Mitsubishi to develop the car. Japanese constructors at the time had already developed wide range of models, many of which were exported worldwide, mainly to the US and South America. The Pony model was the first Hyundai to be shipped overseas in 1975. However, Hyundai would only cross US borders later, in 1986, with the release of the Excel. The subcompact car was an instant hit with its fairly small price tag accounting for most of its popularity. The Excel was such a hit that it sold in over 100,00 units in the first seven months. This was the last automobile that Hyundai produced before resorting to their own technology in 1988. The Sonata was their first born, a mid-seize car that marked the beginning of a new era. Despite the steps the company had taken into building a strong brand image, the reputation Hyundai had previously collected was lost because of poor quality and reliability complaints. As soon as the 90’s came, Hyundai was short of air on American territory, struggling for one last gasp. Instead of retreating, the company made massive investments in new design and technology. By the time the new millennium came, the company had already reinstated as one quality car manufacturer. Sales increased once more and with them so did the buyer’s confidence in Hyundai. The sudden shift in consumer behavior was made possible by eliminating all worries regarding the vehicle’s reliability through the introduction of a 10 year warranty to US sold vehicles only. Since few companies could top that, Hyundai quickly earned a spot in the world’s top -10 car manufacturers. Hyundai is currently operating in 193 countries, selling vehicles through approximately 5,000 showrooms and dealerships. Sales have also aided image growth, the brand having entered the first 100 most valuable brands of the world. Its recent history is strongly connected to investments in technology and ample advertising campaigns. Indeed, communication is one of Hyundai’s inherent elements, best described by their logo: the stylized H is in fact a representation of two men (brand-buyer) shaking hands. Kia sounds surprisingly playful for a car manufacturer’s name and as the brand’s tag line reads, they really are all about the power to surprise. In fact, the Korean car builder has done so from its very inception in 1944 when it began as a steel tubing and bicycle parts producer. Six years later, Kia would reveal Korea’s first bike. Once the first step was made, Kia rushed through the process of developing light means of transport, such as scooters and fast forwarded through motorcycle building upon the point of reaching the necessary resources and experience to start building cars. The whole conversion process took Kia about two and a half decades to complete. Bigger, richer and propelled by the enthrallment of having their own car brand, Kia poured a considerable amount of cash into a plant to accommodate its assembly lines. By 1973, the new facility at Sohari saw completion, becoming Korea’s first of its kind. Fully integrated and equipped with the latest cutting, bolting and welding machinery, the plant ulteriorly became the womb in which Kore’s first internal-combustion gasoline engine would develop. The first Kia built car was unveiled one year later, a medium passenger car named Brisa. Kia’s sounding debut and modern technology caught the eye of different foreign producers(e.g. Peugeot and Fiat) with whom it partnered to house production of some of their models such as Peugeot’s 604 and Fiat’s 132. By the 80’s Kia had expanded to almost the size of its main competitor, Hyundai who was still the no. 1 Korean producer. Some of Kia’s newer models at the time were rebadged and marketed abroad such as the Pride which sold overseas as the Ford Festiva. Only a few years later, Ford would manifest interest in the Avella, a subcompact car available in a 5-door hatchback version and a 4-dour sedan powered by either a 1.3 or a 1.5 liter engine. The Avella was rebadged as the Ford Aspire on the North American market. The Korean manufacturer had not yet reached US shores on its own but it was only a few strokes away. In 1992, the brand was incorporated into the US and timidly started business through a tiny four-dealership network that sold its first vehicles in 1994. Ever since, Kia has been methodically expanding, reaching every state except north Dakota. The main selling point of Kia cars was its affordability which was later supplemented by Kia’s expansion into other market segments through the introduction of their first sport utility vehicle in 1995, the Sportage. From that point on, Kia suffered a fate very similar to that of Hyundai, company it would later blend into due to unsuccessful management of financial difficulties. Trouble began in the late ’90 when the company became stagnant and thus unable to rollout new models. That’s when Hyundai came into play. The major Korean car-builder got rid of competition by means of merger. Both companies have experienced trouble and low sales due to reliability complaints over their vehicles. The somewhat bland styling was not exactly what buyers were looking for in a car either so both had to undergo costly restructuring stages. Kia found itself rejuvenated by 2001 when, following its owner’s example, it started working on a new vehicle line-up with an emphasis on quality and long-warranty offerings. Ever since, Kia has been steadily conquering segments of the European market, especially through the Cee’d, Sorento and Rio models. The development of newer, bolder designs is also among Kia’s priorities, predating a future line-up with the announcement of concepts such as the Soul, unveiled at the Montreal auto show in 2006 and the Kee, a fresh coupe boasting strongly appealing style elements.